A favourite among our staff and customers, this skirt was an instant hit. 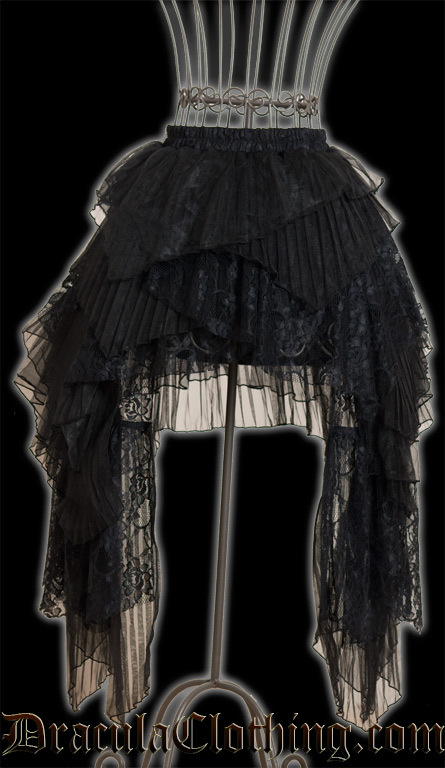 Featuring a polyester underskirt and layers of mesh and floral lace, this skirt fits any style - steampunk, Victorian, gothic, burlesque, you name it! Mamiko is also wearing the Steampunk Top, Lace Bolero, and Steampunk Waist Cincher. The waistband can be stretched about 5 cm larger than the measurements listed below.